I am a HUGE fan of Warby Parker and need to share the love. I’ve been a subscriber to their home try-on frames three times now (yes, that’s 5 different frames per home try-on kit for a total of 15 frames tested so far) and have one more kit on the way. But I took the leap this weekend on frames I discovered, not on their own website but via a blog (perhaps they’re planning on eventually discontinuing these frames?). I wasn’t sure why these particular frames weren’t shown online but they did come up as available when I linked from the blog so I ordered them since it was love at first sight. A modern take on the cat-eye, the Harper frames can be found here. I ordered them late afternoon Saturday and received them a little over two days later on Tuesday morning (talk about quick fulfillment)! 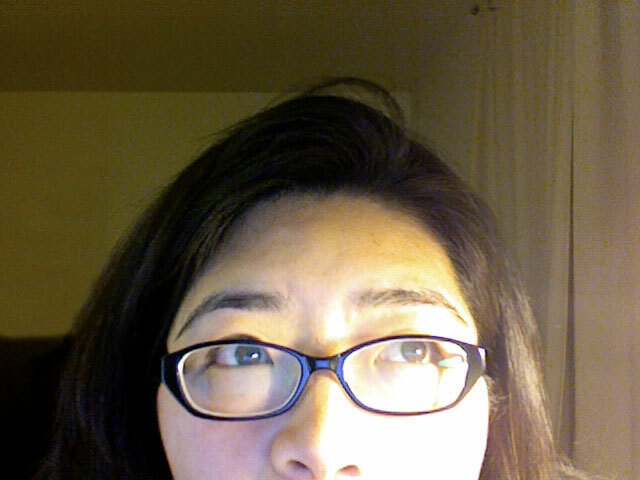 The lenses took a little getting used to (I always find this is the case with a new prescription) and the fit needs a little tweaking (I plan on getting nose pads, typically found on metal frames, installed for my non-existent Asian nose bridge with a local optometrist) but I love how the frames look on me. Go figure! I try on 15 different frames and the one I don’t even bother trying out but order anyway is IT. Having had to wear glasses since I was 8 and spend hundreds of dollars on them to update my prescription/look, Warby Parker is a godsend—$125 ($95 for their standard lenses + $30 for their thinner, high-index lens option) for great-looking glasses where I’d typically spend at minimum 4 times more! It’s such a good deal, I’m even considering a second pair as an “accessory”. And for every pair that’s purchased, they donate a pair to someone in need. L-O-V-E.